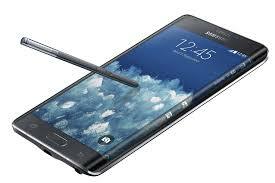 Samsung officially launched the Galaxy Note Edge smartphone in the Indian market. The phone has been set at 64 900 INR and will be available from the first week of January 2015. “Samsung continues with its legacy of extraordinary pioneering innovations and sets new standards in the mobile industry. The Galaxy Note Edge is an incredibly beautiful device with a unique curved screen which not only makes it distinctive smart phone also offers a way unique access to information and optimizes the functionality, “said Asim Warsi, vice president, Mobile & IT, Samsung India. The price of the handset is Rs.64, 900. Originally introduced along with Galaxy Note 4 in September this year, Galaxy Note Edge is only available in certain markets such as South Korea and the United States at this time. The phone has a 5.6-inch Super AMOLED qHD + curved display, which is wound on the right- edge (2560x1440p on the front and on the side 160px) of the phone. The display portion on the right edge of the phone can be used to display notifications, weather information, stock quotes, clock, news feeds, quick shortcuts and more. Other features of the phone include 2.7GHz quad-core Snapdragon 805 processor, 3GB of RAM, 32GB of internal storage, micro SD card slot and Android 4.4 with Touch Wiz UI. The phone will be available in black and white color options.